A car drove into a brick wall and had to be rescued. A 12-year-old boy fell through the roof of a garage but escaped unharmed. 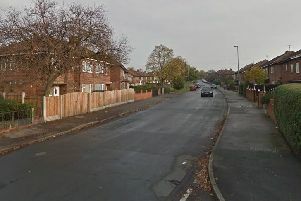 Emergency services were called to Weeland Road in Knottingley at around 4.30pm yesterday (June 5). Crew commander Graham Spark of Pontefract Fire Station said: “A 12-year-old male had been climbing on the roof of some old garages and fell through onto the floor below. “The garages were locked so we had to break in and let him out. “There was nothing in the garage so he had fallen straight to the floor.